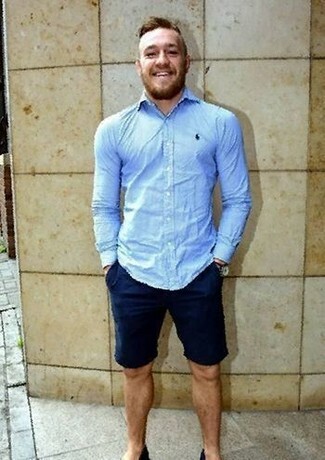 Go for a simple yet casual and cool choice by combining a light blue dress shirt and blue skinny jeans. When in doubt as to what to wear on the shoe front, stick to a pair of grey suede desert boots. As you can see here, it doesn't take that much time for a man to look casually sophisticated. Try teaming a Canali Regular Fit Solid Dress Shirt with navy chinos and be sure you'll look awesome. Clueless about how to finish this outfit? Wear brown leather oxford shoes to polish it up. 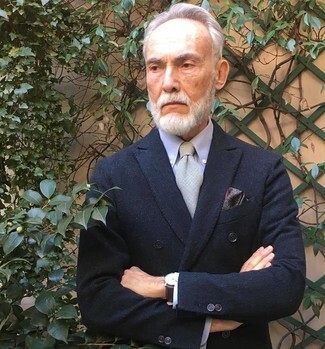 A Canali light blue dress shirt and a grey suit are absolute wardrobe heroes if you're figuring out a sharp wardrobe that holds to the highest sartorial standards. Want to tone it down with shoes? 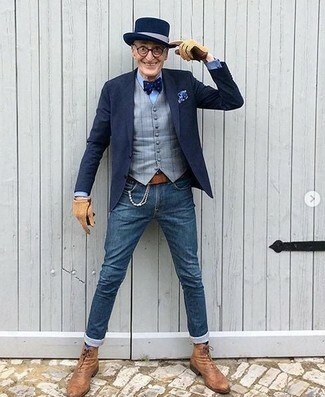 Introduce black leather derby shoes to this look for the day. As you can see here, looking stylish doesn't require that much effort. 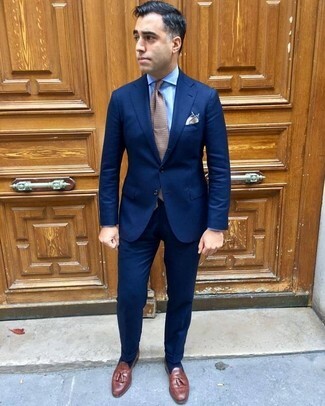 Make a Canali light blue dress shirt and navy chinos your outfit choice and be sure you'll look incredibly stylish. With shoes, you can stick to a classier route with a pair of brown leather loafers. 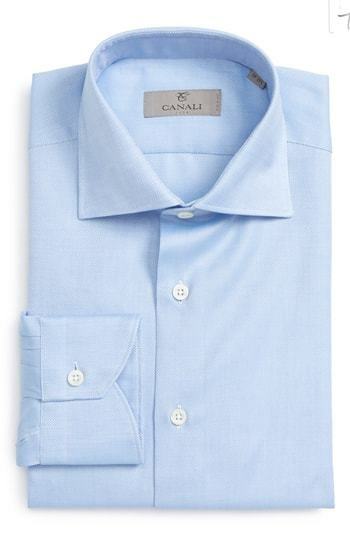 For an outfit that offers practicality and fashion, opt for a Canali light blue dress shirt and blue skinny jeans. Add tan leather dress boots to the mix to instantly switch up the ensemble. 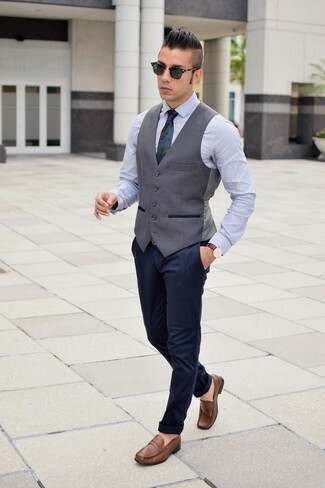 Pair a light blue dress shirt with a black double breasted blazer for manly sophistication with a clear fashion twist. Combining a Canali light blue dress shirt and navy shorts is a surefire way to inject your day-to-day fashion mix with some relaxed elegance. Combining a Canali Regular Fit Solid Dress Shirt and navy corduroy jeans is a fail-safe way to inject personality into your styling collection. Putting together a Canali Regular Fit Solid Dress Shirt with a navy suit is a savvy pick for a classic and sophisticated ensemble. Add a pair of brown leather tassel loafers to the equation to loosen things up.